Leave your worries behind & escape to the radiant & carefree islands of Tahiti & Moorea on this exhilarating & affordable jaunt through French Polynesia. 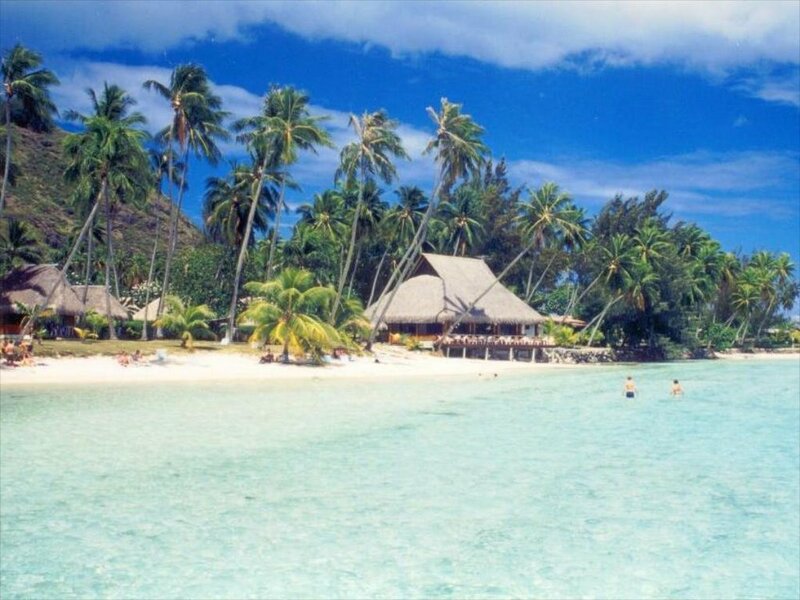 Escorted by your private guide, begin your tour in the Tahitian capital of Papeete, which is rich in history & natural splendor. From the blooming sanctuary of the Vaipahi Gardens, the colorful artwork at the Gauguin Museum, the bewitching black-sand beaches to its stunning & bounteous waterfalls, Papeete is a city not soon forgotten. Take a look at this amazing itinerary! Enjoy a private transfer from your hotel to the port. Le Royal Tahitien hotel is located only three kilometers from Papeete and built on the grounds where the Royal Pomare Family, the last Ruling Dynasty, once lived and played. The Hotel offers a retreat where privacy and tranquility prevails. Take a stroll through an idyllic haven with flower-filled tropical gardens. 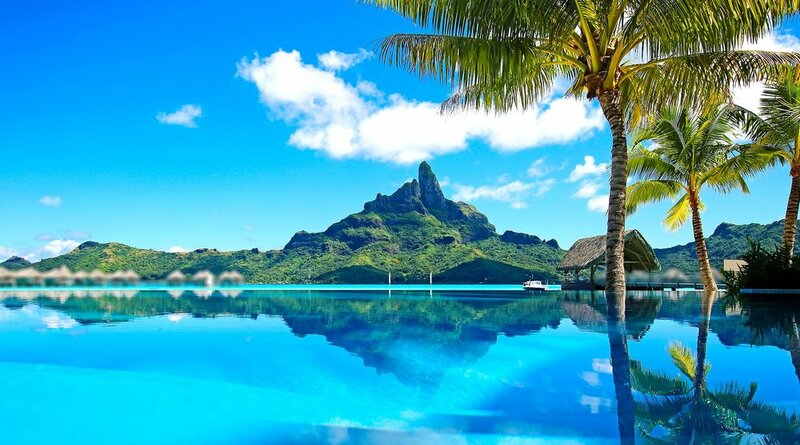 Considered to be one of Tahiti's treasure spots, swim in the warm, untroubled waters of the lagoon or relax pool side with a tropical drink. Le Royal Tahitien is highly recommended for those" who want to get away from it all" for a truly relaxing experience. Take a 4x4 to the very heart of the island of Tahiti. Admire the valley of Papenoo which is famous for its rivers and enjoy the incredible waterfall and tropical plant views. This is a relaxing place where you can really get back to nature. Your guide will be present throughout the journey and will answer any questions you may have about local flora and fauna and geology. Meet your driver for a port transfer with private vehicle and driver. Enjoy this transfer aboard a ferry from Papeete to Moorea. A private vehicle with driver will provide a transfer between Moorea and the airport. On Moorea, the most beautiful island in the Pacific and the closest to Tahiti (8 minutes by air or 30 minutes by catamaran), the Hotel "Les Tipaniers" awaits nature lovers who can appreciate the beauty and authenticity of this little Paradise. Explore the circle island of Moorea from its prestine lagoon. Your guide will take you on a journey through the history of the Opunohu and Cook's Bay, boasting fantastic views of this tropical paradise. Work up an appetite in the lagoon’s turquoise waters amongst the coral, tropical fish and stingrays, before stopping to enjoy a lunch time picnic on the island. Enjoy this transfer aboard a ferry from Moorea to Papeete. Feast on a mouthwatering meal as you picnic on Moorea. Learn the history of Opunohu and Cook’s Bay with expert guide. Embark on a 4x4 journey through the valleys of Papenoo. Add this amazing tour to your bucket list!! Contact our travel experts for more information and a customized quote! Not working with an Upon A Star Travel Expert yet? Contact one HERE today? or email us at info@uponastartravel.com and we will match you to the perfect travel expert!